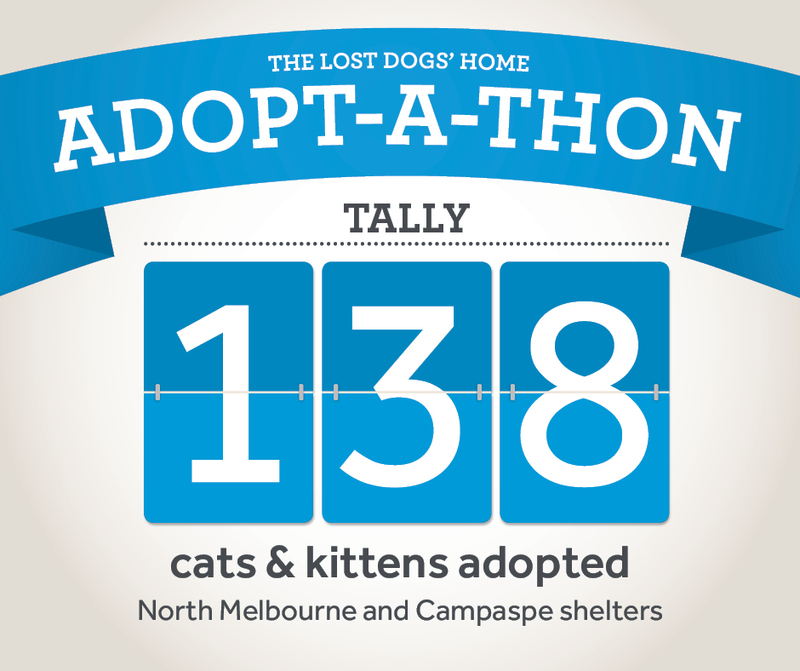 ADOPT-A-THON UPDATE: 138 cats adopted in a week! The last week of the school holidays saw some of our fantastic felines school their new families in the ways of the cat – with plenty of cuddles and smooches of course! Since April 1, 138 cats and kittens have been adopted through our 2016 Adopt-A-Thon. This means we have passed the half-way mark and there are still three weeks to go! This is a great result, but we still need your help to reach our goal of finding brand new homes for 250 cats and kittens before April 30. Can you help us beat our target? Check out the cats and kittens needing your help here. From April 1 to 30 The Lost Dogs’ Home will waive the adoption fees of all cats six months and older at our North Melbourne and Campaspe shelters. Kittens under six months have their adoption fees halved to $90. Each cat comes fully health checked, desexed, microchipped, vaccinated and wormed, all costing in excess of $300 per cat. To receive this offer, you’ll need to successfully complete to Home’s Pet Licence Test online at petlicence.com.au or at our North Melbourne or Campaspe shelters. We are calling on all cat lovers to help us this April and there are ways for everyone to help find homes for these deserving cats. Advocate – If you are not in a position to adopt or foster, why not advocate for a cool cat looking for a new home this April? Share adoption candidate profiles via your Facebook page, email or even through good ol’ word of mouth!